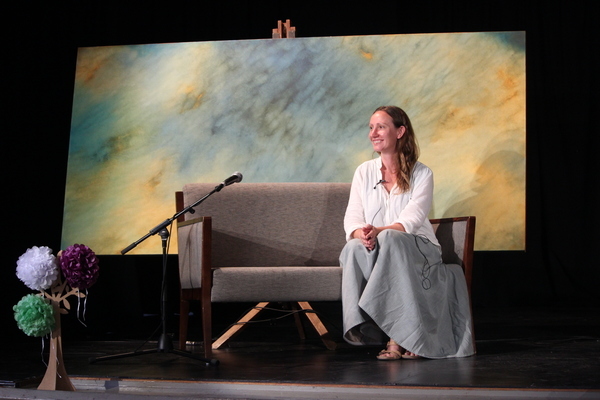 An International Women’s Day Lunch in Warburton on 8 March provided a rare opportunity to tap into the inspiring wisdom and experience of three of the Upper Yarra’s most creative women. 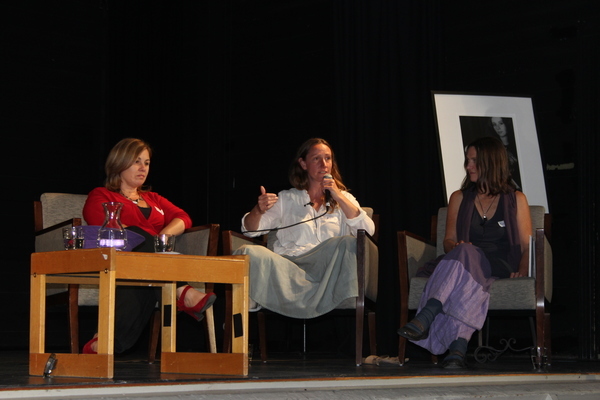 Artist, Belinda Rogers, photographer Kate Baker and writer Lindy Schneider were guest speakers at the forum titled Women Working Creatively. The forum was the latest in the series of Women of Interest luncheons, and according to joint organiser, Kerry Nichols, a highlight of the series. It is the first time the event has been presented as a talk-back forum with the women taking centre stage to speak about their experiences of what it means to be a creative woman, where they have come, where they are heading, and the challenges and rewards along the way. The topic, and articulate and passionate responses by the women, opened not just windows, but threw the doors open to explore notions of self-awareness and confidence, and lack of both, the role of pain and other emotions as a catalyst for art, isolation, stages of artistic and creative endeavour in the midst of other aspects of life such as motherhood and employment … and so much more. More than 80 people, men and women, attended the event held at the Warburton Arts Centre. Ms Nichols said the event was a huge success. “The quality of listening was exceptional … pin-drop stuff,” she said of the audience’s response. Ms Nichols said she was delighted to hear of one of the audience members who wrote to her granddaughter encouraging her to be creative despite all the things that may happen along the way.